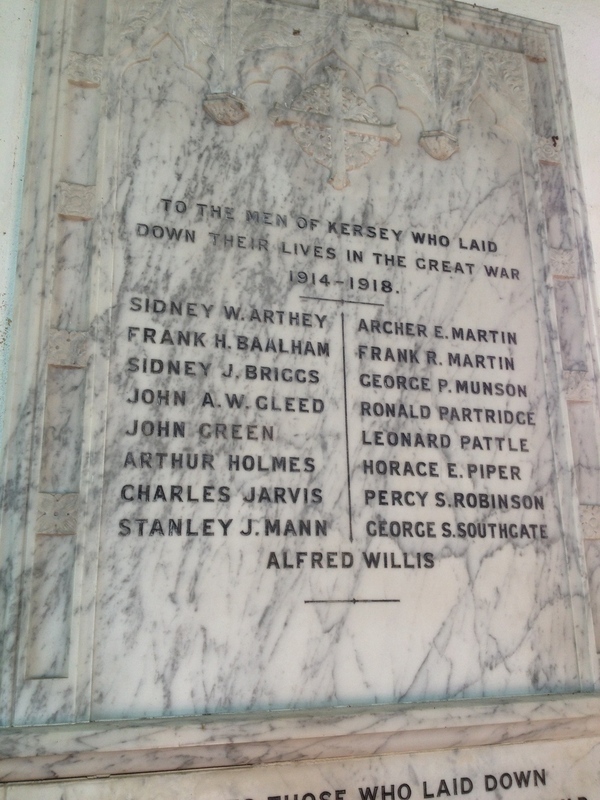 The Kersey War Memorial is an engraved roll of honour listing the men of Kersey who fell during 1914 to 1918. The memorial is positioned on the wall to the right of the door that is opposite the entrance. 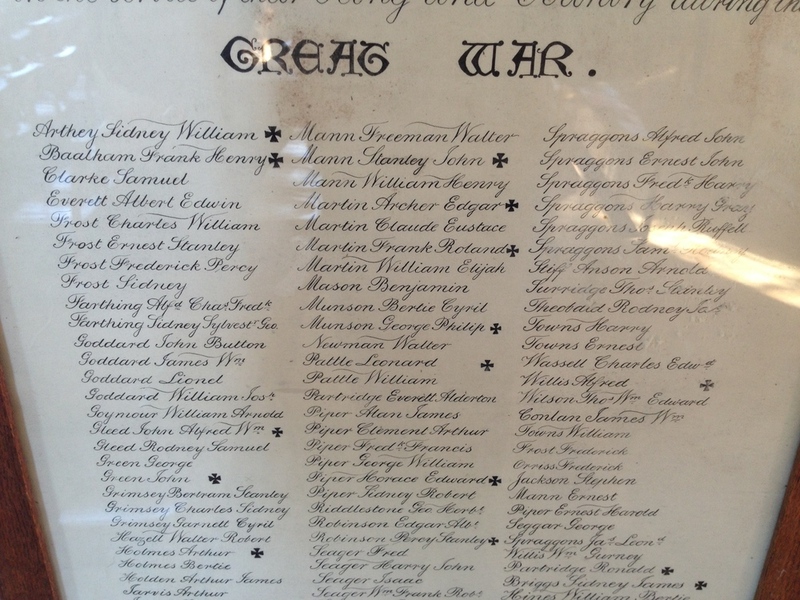 To the left of the door is a framed print listing all the men of Kersey parish who served during the Great war. 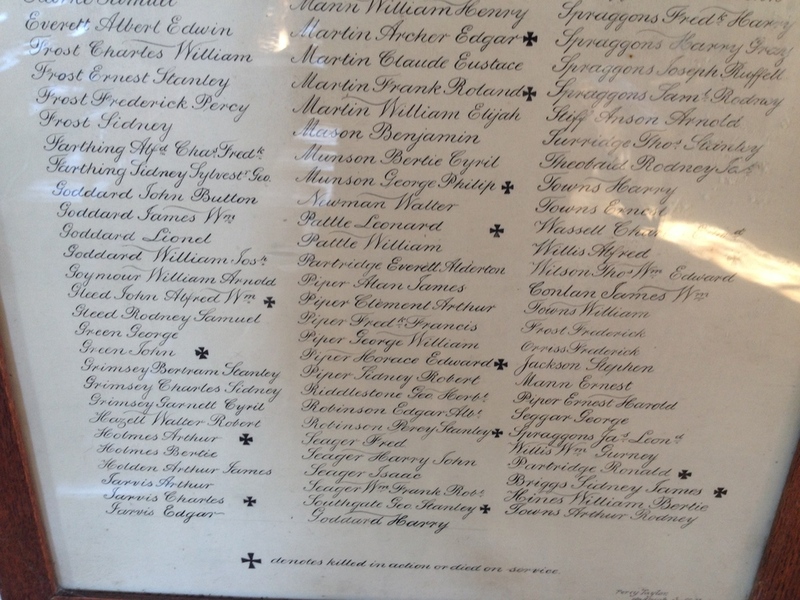 Those who fell are denoted by a cross. 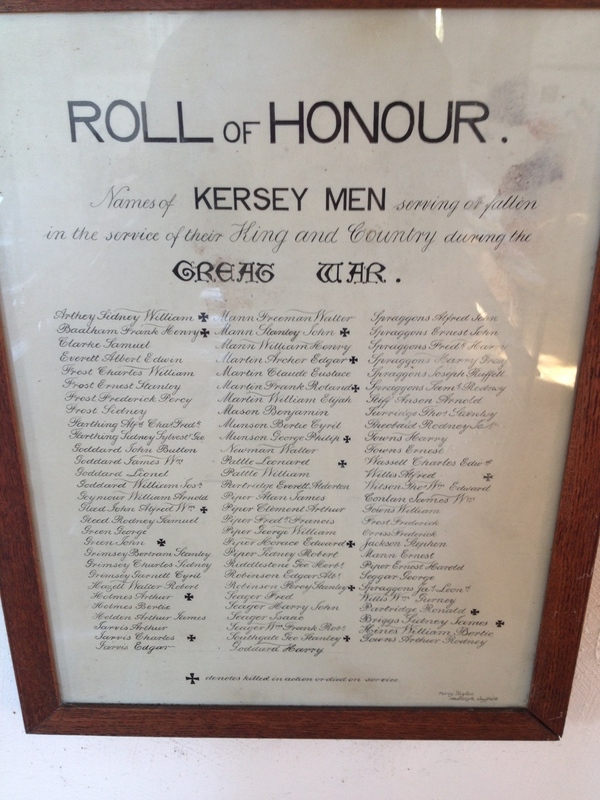 The print was made by Mr Percy Taylor of Hadleigh.